I recently picked up an X10SDV-F to use in my home lab. The goal was to replace some aging components, including an older virtual server and my loud and power hungry firewall. The X10SDV features an 8-core/16-thread 45W CPU, and can support up to 128GB of ram, has two 1GB NICS, two 10GB NICS and an open PCIe 3.0 slot. My goal was to throw a spare 4-port NIC in the open PCIe slot and pass it through to a pfSense virtual machine to replace the aging firewall, and then run the rest of the network off the 4 ports, 2 for management/vlans, and the two 10GB ports for storage, since I have my storage server on 10GB already. Sure, these are a few years old (~5 years), but they’re solid Intel NICs. My first goal was to use the spare EXPI9404PT since I had a few of these on a shelf not being used anyway. I had already tested this card, it was working, so I threw it in the new X10SDV and fired it up. This seems kind of fun. I may give this a shot — or at least do the first few days until it gets to be more work than fun. If you want a good excuse to write do some code in a random language of your choosing, this could be it. I’m using these first few programs as an excuse to write some more Python programs. Out of box Rundeck does not support pulling LDAP credentials. The basic authentication module only checks against the LDAP server for success/failure, but the internal rdusers database still stores First Name, Last Name, and E-Mail address for each user, but expects them to manually fill out this information themselves. In a small 5-10 person environment, that’s probably fine. In a 100+ person environment, that’s just asking for problems. 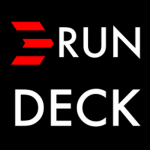 I worked with the Rundeck developers and found out there’s been a ticket for over a year requesting the feature, but it sounds like they don’t really need use/need that, and therefor it’s very low priority (aka probably not going to happen any time soon). I took a look at the Jetty authentication module which was terrible, and decided I could write a quick fix for myself at least. It’s not as optimal as having the application do it on login, but I chose to go with a batch script that runs daily and checks for missing e-mail address and pulls the information from LDAP. The information is fairly static, but I may add a once a month job that re-scans all users and does a force update no matter what — just in case e-mail or name changes (marriage?). Seems unlikely, but it’s something. 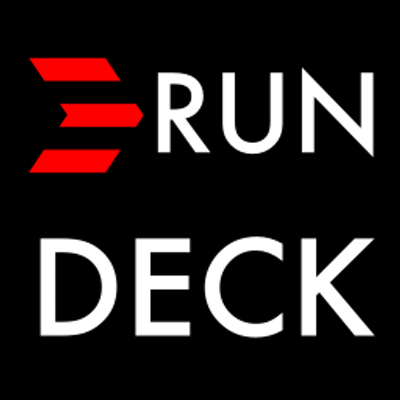 I posted the python script on github, and the Rundeck devs were pretty excited and seemed to like it. So that was fun. Plus, it was a fun excuse to write a python program. dsu | Mike is proudly powered by WordPress running on http://blogs.dootdoot.com.